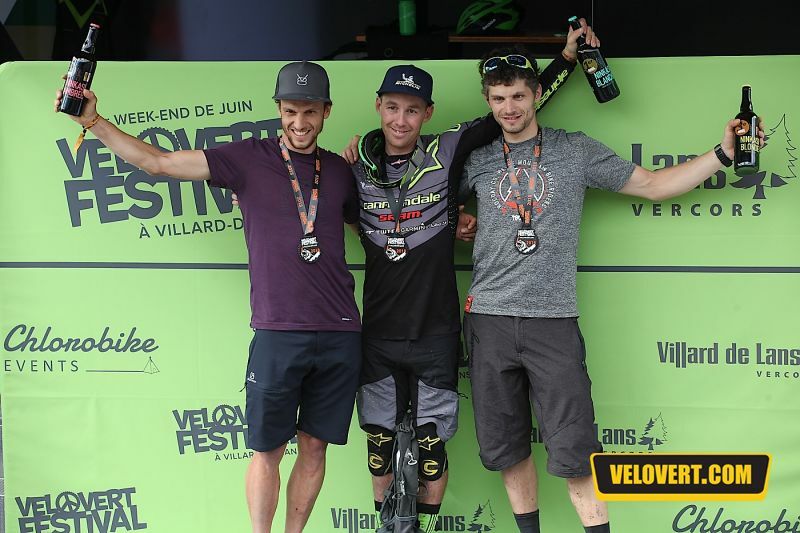 A new festival has been growing lots since few year, the Vélo Vert Festival, which takes place in Villars de Lans, France. The festival offers several races and this year, Jérôme attends the Enduro on Friday and the Mass Start on Sunday. For his first time riding in VVF, he managed to take the win in front of Hugo Pigeon (+24′) and Levy Batista (28′)!